I would like to extend a deep and heart felt thank you to Price’s Alarms and the Courtenay Volunteer Fire Department. Recently I experienced firsthand how much both parties care about this Valley and each person in it. To begin let me just say that I was having a very bad week, I found out that I need a biopsy, as a cancer I have may have come back, and a old simmering family dispute came up as it does every time around this season. So, it was my own forgetfulness that left a pot on my stove and I went out to do to some shopping. Thanks to the prompt action from Price’s Alarms that alerted the Courtenay Fire Department, all we suffered was some smoke damage. Washing walls to get rid of the odour is easy, realizing that one has a wall to wash is much more of a humbling experience, knowing it could have been so much worse. Either way, the emotional toll it takes is incredible, just the strain of knowing what it could have happened, and knowing it was caused by simply forgetting to check. It is frightening. If I could, I would personally thank everyone at Price’s Alarms and every volunteer at the Courtenay Fire Department. As I cannot, this will have to do. Thank you all for helping not just in averting a far more devastating event but helping me realize that I need to take care of my emotional stress with some outside help as clearly I am not on top of that as much as I believed. We are so proud to see that our client took the time to thank us for our efforts in protecting them but also for sharing this story publicly. We do our best to spread the message that security is more than just burglary alarms. A proper security system is a solution that protects property and lives within 5 channels of security: Threat of intrusion, threat of fire, police emergency, medical emergency and environmental concerns such as flood and freeze detection. 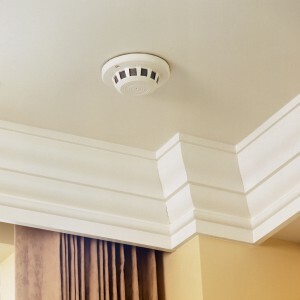 Monitoried smoke detection is something we suggest to all of our customers – protecting you, your pets and your property whether you are home or not. A copy of the article can be found here. Thank you to the Comox Valley Record for giving the public a voice to share this message through the Letters to the Editor section.